Cable Style (Accordion Design) Tarp Systems. 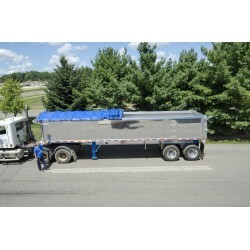 We are Dealers for Aero, Crank-N-Go, Mountain Tarp, Tarp-N-Go and PullTarps Super Slider, Sigle or Dual Cable Slider Cable Style (Accordion Design) Tarp Systems in mesh or solid vinyl tarps for Dump Trucks and End Dump Trailers. Custom sizes available. 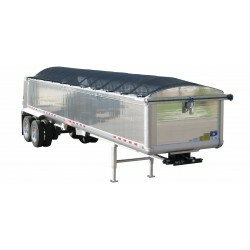 We would need the Make, Model of the Truck / Trailer , width of the Truck / Trailer (front, middle and end), the length of the actual truck / trailer.